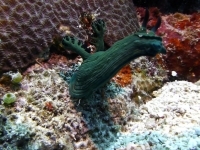 Fairly large, green nembrotha with fine black creases and black rhinophores and blue to black gill branches. Unassessed by the IUCN Red list. Known from the Indo-Pacifc. Western Central Pacific; the Philippines, the Solomon islands and Japan. (Tentative records from the Eastern African coast). 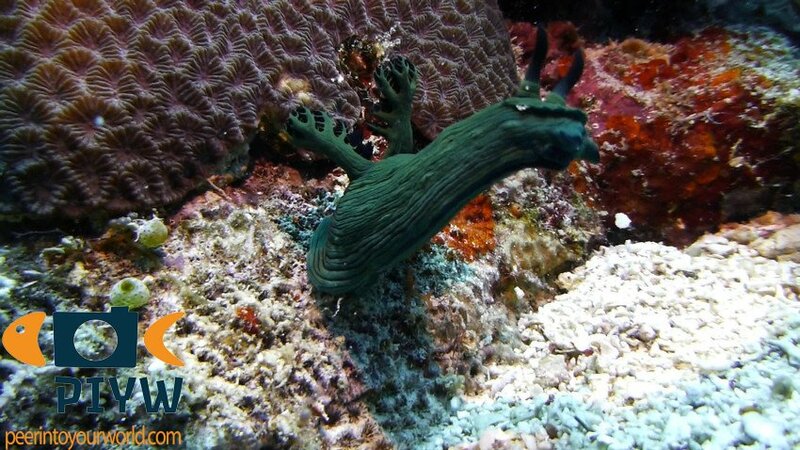 They are often found on or nearby tunicates, which they eat, in a depth range of 10-29 meters. Members of the Order Nudibranchia are simultaneous hermphrodites (both male and female at the same time). Any individual can act as the male or female. Egg ribbons are orange and coiled, and deposited on a substratum where they develop and hatch into vestigial veliger larval stage and further grow as adults.